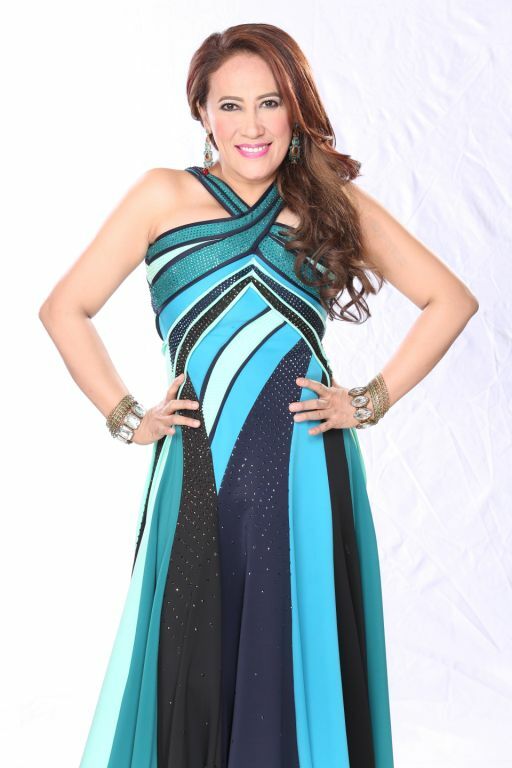 Marimar dances her way into viewers’ hearts this August! 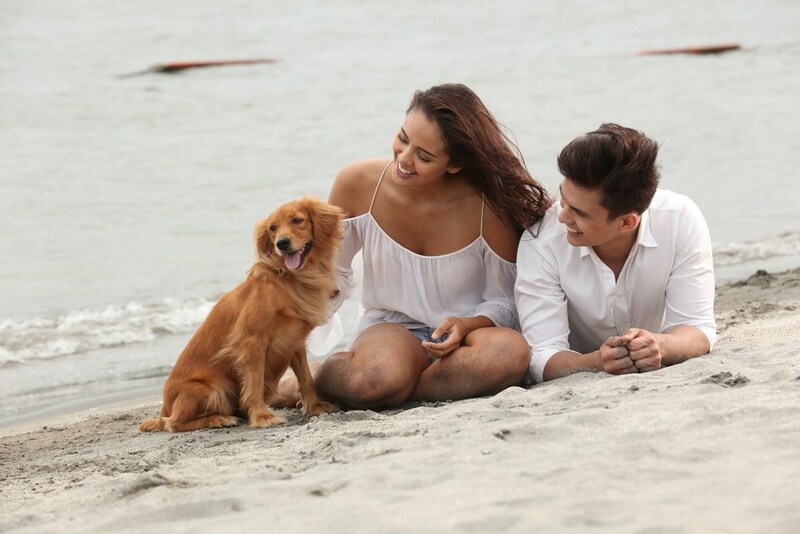 One of the highly-anticipated programs this 2015, GMA Network reimagines television history’s most successful telenovela, Marimar, with the sizzling team up of Kapuso prime artists Tom Rodriguez and Megan Young. The primetime series begins August 25 on GMA Pinoy TV. 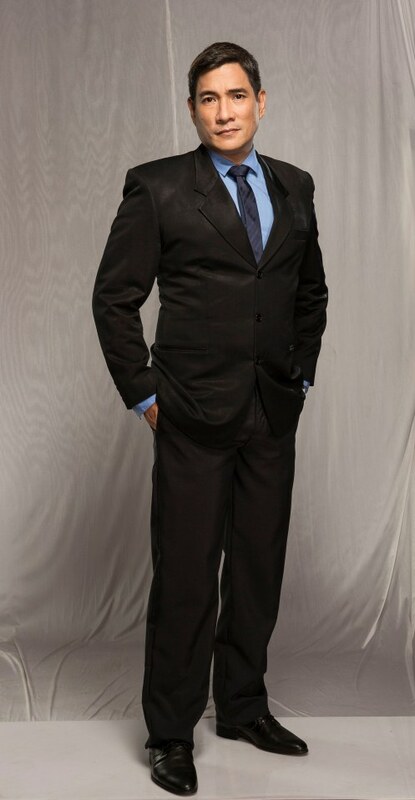 Giving a fresh take on the role of Sergio Santibañez is Kapuso Prime leading man, Tom. With his devilishly good looks and compelling charisma, there is no doubt that the Kapuso prime leading man will have viewers swooning. 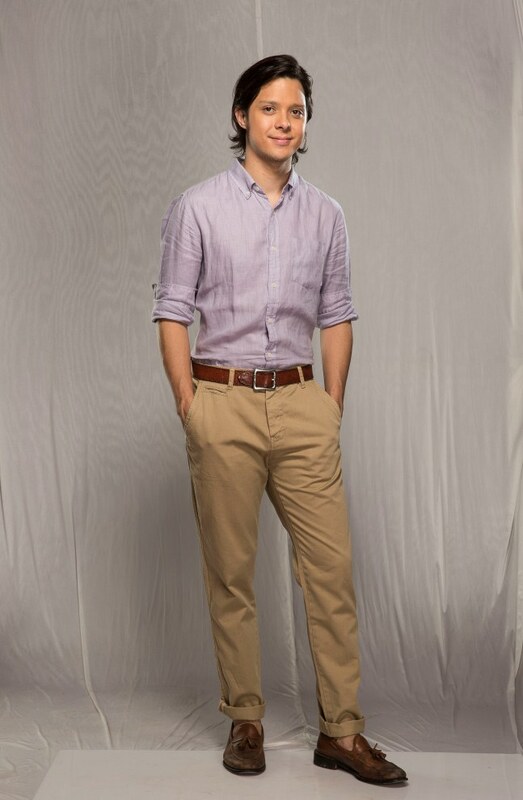 Coming from the wealthy Santibañez family, Sergio is a spoiled trust fund kid who loves extreme sports and adventure. One day, he meets Marimar and decides to use her to get his inheritance from his father. Little did he know that he will soon fall for the girl who he once used for his selfish plan. Bringing life anew to the iconic character that exemplifies the best traits of the Filipina barrio lass is Kapuso multi-talented actress, Megan. She is definitely a fitting choice for the character as she represents a woman who is brave with her sense of purpose and has conquered the world with her countenance. Despite being separated from her real parents at a young age, Marimar was raised filled with love by a couple who found her. Modest and carefree as she’s known to be, Marimar makes money out of being a pearl diver. To sell her pearls in the island, she dances her signature moves to get people’s attention. It is through this instance that Marimar will be noticed by Sergio. Witness another dimension of acting prowess as Marimar brings together a roster of A-list actors and actresses including Ms. Jaclyn Jose as Señora Angelika Santibañez, the outrageously extravagant and flamboyantly dressed second wife of Renato who likes attention and loves being the center of it all; Zoren Legaspi as Gustavo Aldama, the biological father of Marimar who chooses to fight his love for Mia despite his family’s objection; Lauren Young as Antonia, the pretentious socialite daughter of Angelika who will join her mother in depriving Marimar of everything that was rightfully hers; and the returning Kapuso, Ms. Alice Dixson, as Mia Aldama, the biological mother of Marimar who becomes determined in life after having a whirlwind romance with Gustavo. Marimar also takes pride in bringing to life once again colorful characters to be portrayed by Nova Villa as Lola Cruz, the woman who gives shelter to Marimar and treats her as her own child; Tommy Abuel as Lola Pancho, the husband of Lola Cruz who will teach Marimar how to dive for pearls; Carmi Martin as Esperanza Aldama, the fabulous business-minded cousin of Gustavo; Ina Raymundo as Brenda, a social and sophisticated woman who will try her best to win Gustavo back; Dion Ignacio as Nicandro, the crooked and dishonest staff officer on the Santibañez Island who is envious of Sergio; Ricardo Cepeda as Renato Santibañez, the kind-hearted and responsible father of Sergio; Jaya as Corazon, the trustworthy chambermaid of the Santibañez family; Cris Villanueva as Padresito Porres, the witty and kind-hearted priest on the island who always encourages Marimar to pursue her dreams; Candy Pangilinan as Perfecta, the personal assistant of Angelika and the greatest rival of Corazon in the mansion; Frank Magalona as Franco, the outspoken companion of Sergio; Ashley Cabrera as Cruzita Santibañez, the charming sister of Sergio who will get close to Marimar; plus Boobay who will give voice to the adorable dog, Fulgoso. 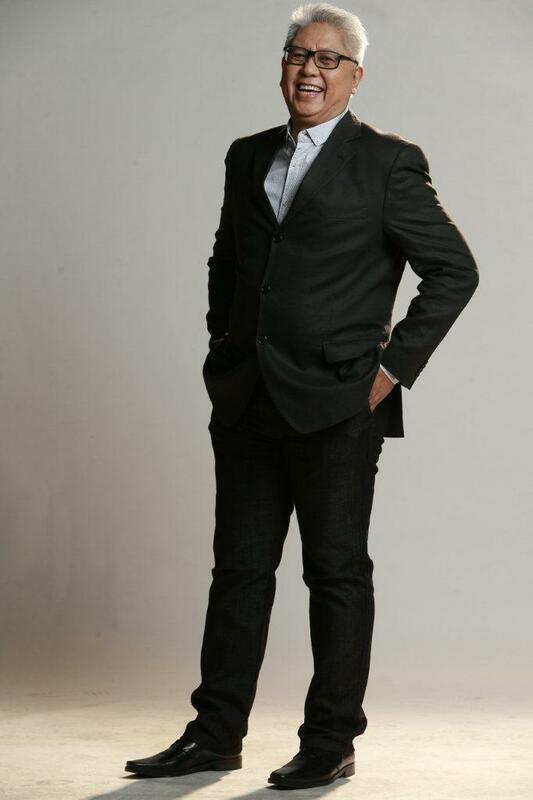 From making the hit TV series, The Rich Man’s Daughter, My Husband’s Lover, Darna, Mulawin, My Beloved, and Temptation of Wife, just to name a few, Dominic Zapata is more than ready to offer viewers a refreshing take on this riveting primetime series. Aiming to inspire every Filipina to become the best version of herself while fulfilling her dreams, witness the journey of Marimar beginning August 25 on GMA Pinoy TV. Anaheim, California, says she has been a GMA Pinoy TV subscriber for 10 years already. “I have three kids, they were born in the Philippines but raised here, and GMA particularly helped me connect them to our culture,” she shares. “When I’m at home, I’m in the Philippines, thanks to GMA,” she adds. GMA Pinoy TV, GMA Network’s flagship international channel, serves comprehensive and up-to-date news and public affairs programs and pure quality entertainment shows. The second international channel of GMA, GMA Life TV, reflects the vibrance of life to cater to the ever-changing preferences of Filipino audiences abroad. GMA News TV International provides the latest news straight from the Philippines and delivered to the viewers without delay. 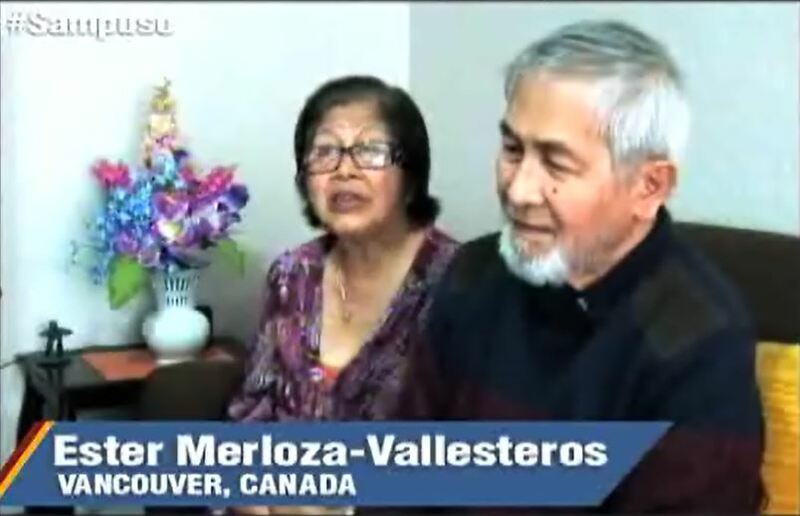 Meanwhile, the Vallesteros family, from Vancouver, Canada, relays their love for GMA and its programs, and admits that even though they have watched an episode of their favorite program, they patiently wait for the replay to be able to watch it again. Lola Ester and Lolo Simeon particularly love watching GMA News TV International. “Nagpapasalamat ako sa GMA dahil updated kami sa mga balita, alam naming kung anu-ano ang nangyayari sa ating bayan,” shares Lolo Simeon. 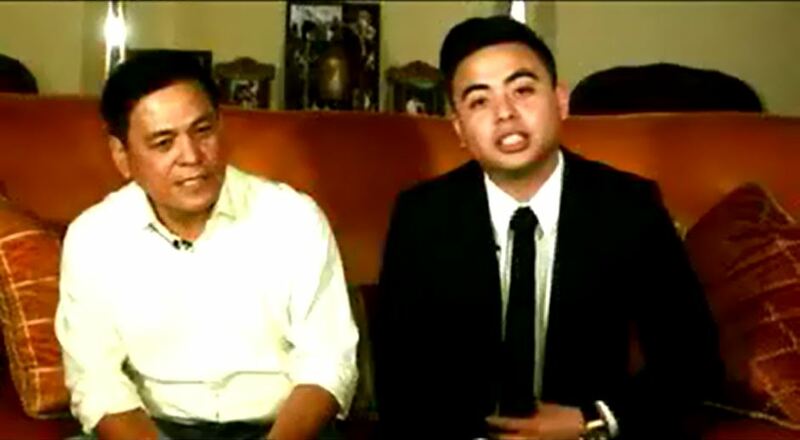 Father and son Nick and Jeremy Enciso from Anaheim, California spend quality time together watching the latest news about the Philippines on GMA. Nick said GMA made it easier for him to instill Filipino tradition and culture within Jeremy while he was growing up. “Congratulations on your 10th year, when I have kids I will definitely have them watch GMA as well,” admits Jeremy. “It’s been a great 10 years of providing quality news and entertainment to our Kapuso subscribers abroad and we are grateful for their never ending support for GMA,” expresses GMA First Vice President and Head of International Operations Joseph T. Francia. “They can rest assured that GMA International will remain committed as we continue to nurture our relationship with Kapuso supporters abroad,” he adds. 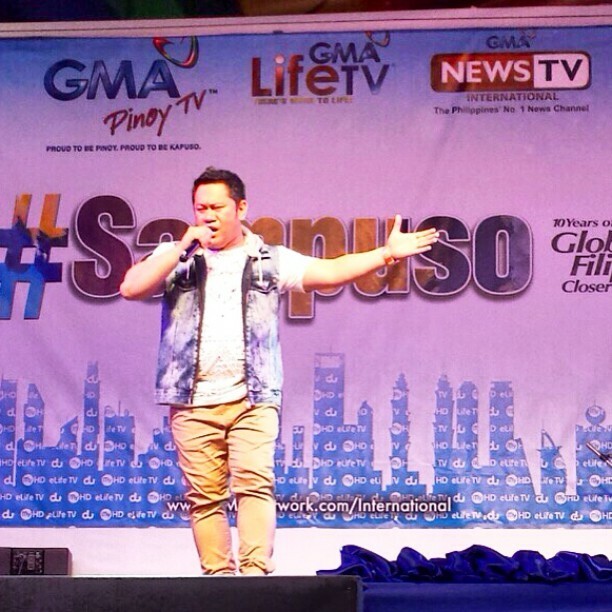 Watch these #Sampuso stories and more on the newly launched GMA International playlist http://bit.do/GMAPinoyTV on GMA Network’s YouTube Channelhttp://bit.do/GMANetwork. Hot off the heels of her successful GMA Pinoy TV show in Kuwait, Kapuso actress Lovi Poe returns to primetime via Beautiful Strangers. Lovi is filled with excitement as she portrays her character, Joyce, a woman who is seeking revenge from a family who wronged her. “I’m so happy to be part of an exciting series, which will feature some of the best actors on TV and film. Kaya naman ganado at masayang-masaya ako na muling mapanood sa primetime,” she says. She also recently finished working on a movie, Lakambini, wherein she plays the role of Gregoria ‘Oryang’ De Jesus, the founder of the women’s chapter of the Katipunan. “It’s a dream role for me, and it’s such a huge challenge to be doing a film about a woman who made a history,” relates Lovi. Catch more of her this August in Beautiful Strangers on GMA Pinoy TV. Julie Anne San Jose wants to make her parents proud! At the young age of 21, Asia’s Pop Sweetheart Julie Anne San Jose has already hit the high notes when it comes to her career. The Kapuso star has her hands full with three regular shows – Sunday All Stars, Pepito Manaloto, and GMA News TV’s Day Off – plus an upcoming afternoon soap Buena Familia, which is set to premiere this July. Julie Anne will play the role of 19-year-old Darling Buena in the forthcoming series opposite Jake Vargas. “’Yung story pong Buena Familia, nasa upper class ‘yung family naming tapos maghihirap kami,” she said during a recent interview. With a successful career under her belt, how does Julie Anne juggle her time? “Time management lang. Kasi for me, as long as you love what you’re doing and as long as you’re passionate about your craft, hinding-hindi ka mapapagod. Hindi ko po iniisip ‘yun kasi happy naman po ako sa mga ginagawako, love ko ‘yung ginagawa ko, love ko ‘yung trabaho ko,” she explained. Meanwhile, one more thing that will surely take up most of her time come August is her studies. An AB Communication Arts student of Angelicum College in Quezon City, Julie Anne plans to take up a full course load and wishes to graduate next year so as to make her parents proud. “Kailangan mataas ‘yung grades kasi last semester, Dean’s lister ako. So sabi ko, masarap sa feeling. Saka siyempre, sa mga magulang mo, masarap ‘yung feeling na ibabalita mo sa kanila na ‘okay naman po ako sa school,’” she shared. Catch more of Julie Anne in Buena Familia premiering soon on GMA’s flagship international channel, GMA Pinoy TV. GMA Network launches the Philippines’ first-ever multi-platform boy band competition – To The Top. Produced by GMA Public Affairs, To The Top is a twice-a-week reality-based, talent development program featuring 18 young and gifted male vocals who are all vying to be part of the Kapuso Network’s newest boy band. Unlike other reality programs which held open auditions, To The Top scoured the country and invited the best male vocals from different schools and organizations to join the auditions. The show documents the journey of these young men from being solo artists or being members of their respective singing groups to ultimately becoming part of the country’s newest boy band. All these experiences were seen by the public when GMA made the competition initially available online via www.gmanetwork.com/tothetop. 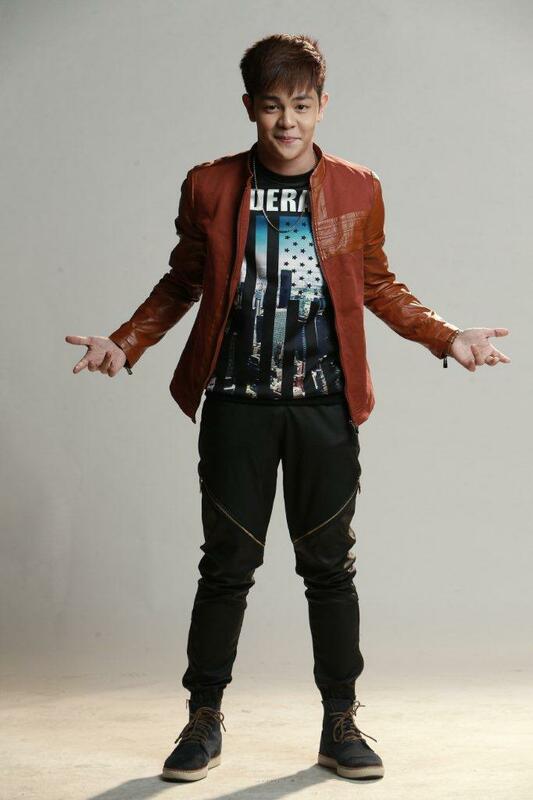 Serving as host of the program’s webisodes is Kapuso homegrown artist Julian Trono, who recently underwent intensive training under the Kpop system. After a series of rigorous auditions, the program announced its 25 finalists, which were later trimmed down to 14. Adding a twist to the competition, netizens were then asked to vote for their favorites who were earlier eliminated in the series to become the competition’s wildcards. Thus, a total of 18 finalists will now work their way to the top. The 18 TO THE TOP artists are AJ Ajrouche, Lance Busa, Ken Carpena, Mico Cruz, Cholo dela Cruz, Martin de Vera, Luis Gragera, Joshua Jacobe, MJ Magno, Miko Manguba, Seph Manlapaz, Bryan Olano, JP Palanca, Adrian Pascual, Louie Pedroso, Lharby Policarpio, Edric Ulang and Chris Yumang. Throughout the season, the artists – who will be divided into three groups – will be housed together and will undergo more intensive vocal and dance trainings for their upcoming performances and evaluations. Helping the program achieve this are some of the country’s top music icons led by no less than Maestro Ryan Cayabyab serving as the competition’s main judge. Joining The Maestro in this project are vocal coaches Moy Ortiz, Sweet Plantado and OJ Mariano of the Philippines’ premier vocal ensemble The Company; dance coaches and 2-time World Hip Hop Champions Philippine All-stars alumni Madelle and Prince Paltu-ob, as well as international breakdancing champion Jesse “Reflex” Gotangco; and the Sound Squad of musical arrangers and sound engineers led by Jonathan Ong and his team from Sonic State Audio — Chino David, Chrisanthony Vinzons and Brian Lotho. 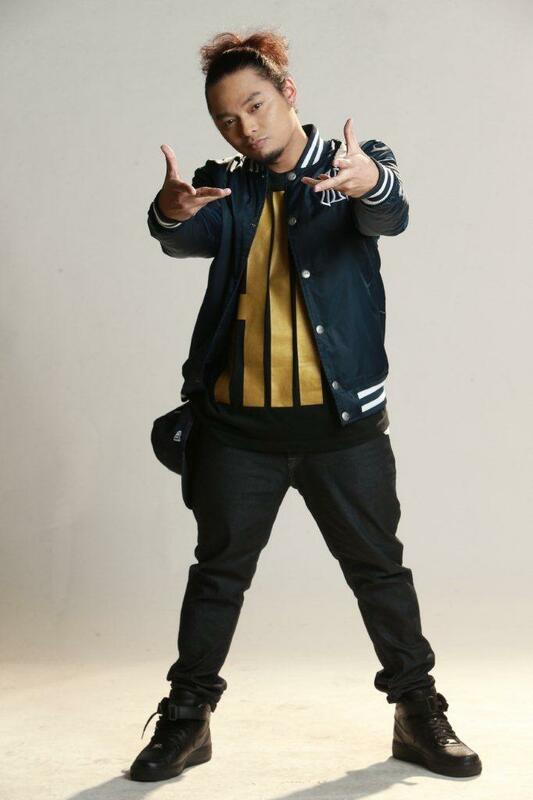 Also lending his expertise in the early part of the competition is celebrity ace photographer Mark Nicdao. Who among them will make it to the top? Find out as the showdown begins July 20 in ASPAC and July 19 in the US, Canada and the Middle East. For the latest updates, follow TO THE TOP on Facebook www.facebook.com/GMAToTheTop, Twitter twitter.com/GMAToTheTop, and on Instagram instagram.com/GMAToTheTop. Following the success of Kapusong Pinoy concerts in Vancouver and Anaheim recently, GMA International continues to ignite the Filipino spirit around the world through its participation in various events celebrating the Philippines’ 117th Independence Day this June. “It has been ten fruitful years of bringing Filipinos abroad closer to home through our flagship international channel GMA Pinoy TV and we look forward to many more years of serving our kababayans abroad,” expresses GMA Vice President and Head of International Operations Joseph T. Francia. “We will continue to instill and nurture a sense of pride and love for country among our fellow Filipinos abroad through our programs on GMA Pinoy TV, GMA Life TV and GMA News TV-International and on-ground events,” he adds. 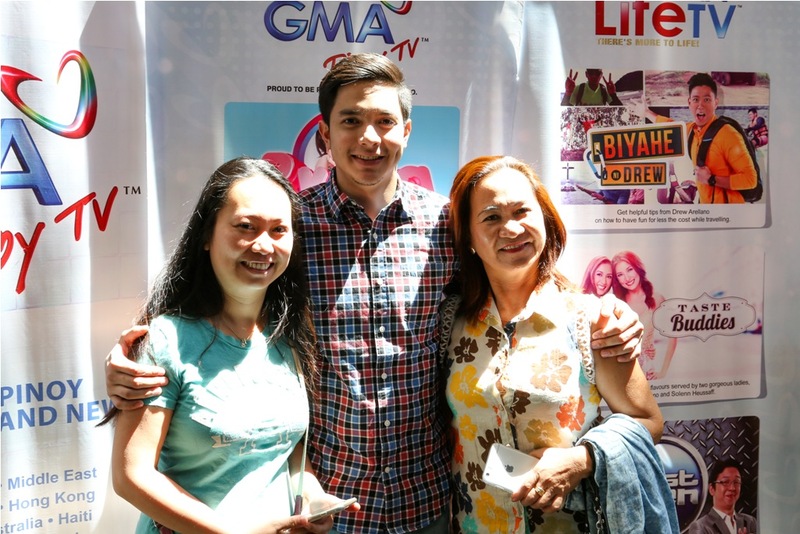 The series of patriotic events opened with the Philippine Independence Day celebration in Carson City, California on June 6, graced by one of GMA’s top leading men Alden Richards. The event was organized by the Philippine Independence Day Foundation (PIDF, Inc.) of Carson in cooperation with the Cities of Carson and Los Angeles. 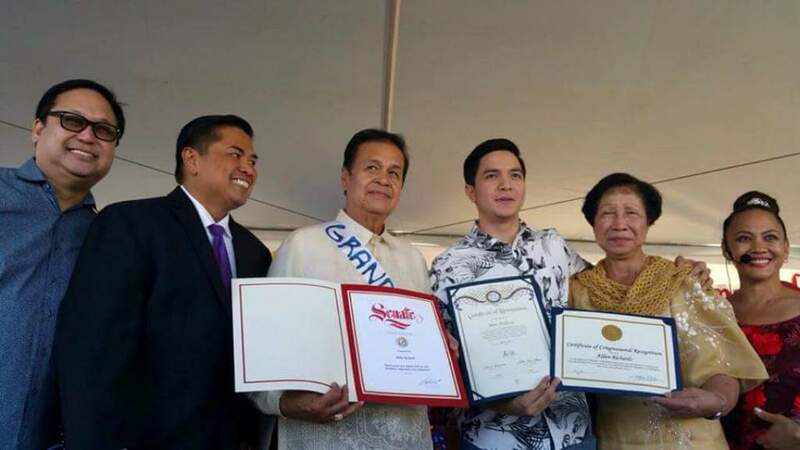 Alden, who was also one of the featured artists in the recent Kapusong Pinoy events in North America, once again charmed the audience and was presented three certificates of recognition by the Mayor Pro Tem and Grand Marshall Elito Santarino. Simultaneously, Pagdiriwang 2015 spearheaded by the Filipino Cultural Heritage Society of Washington (FCHSW) was held in Seattle, Washington on June 6 and 7. Alden also joined the celebration and interacted with our kababayans during the meet-and-greet session on the second day. “Sa lahat po ng mga Kapuso nating nakisaya sa Carson at Seattle, thank you very much from the bottom of my heart, and in line with the celebration of 10thanniversary of GMA Pinoy TV, maraming, maraming salamat po, sana napaligaya namin kayo, and we hope to see all of you again next year! God bless you, mga Kapuso!” says Alden. Meanwhile, Mabuhay Festival 2015 organized by the Mabuhay Foundation was held in San Diego, California on June 13. 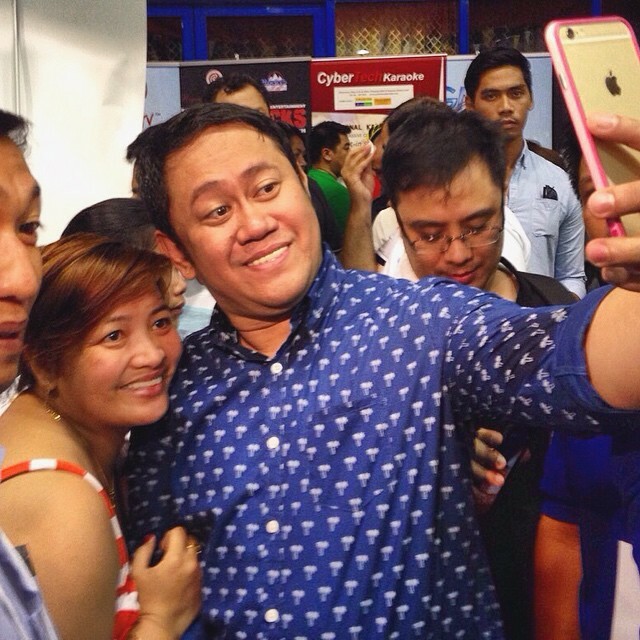 The event was a family affair and GMA Pinoy TV’s photo booth became a hit among them. Photos from these events can be shared and downloaded at GMA Pinoy TV’s Facebook page,www.facebook.com/GMAPinoyTV. Apart from the celebrations in the US, the Pinoy Fiesta and Trade Show in Toronto held its successful 5th year anniversary celebration last June 27. And just like the past 4 years, thousands of Kapuso in Canada joined the celebration. 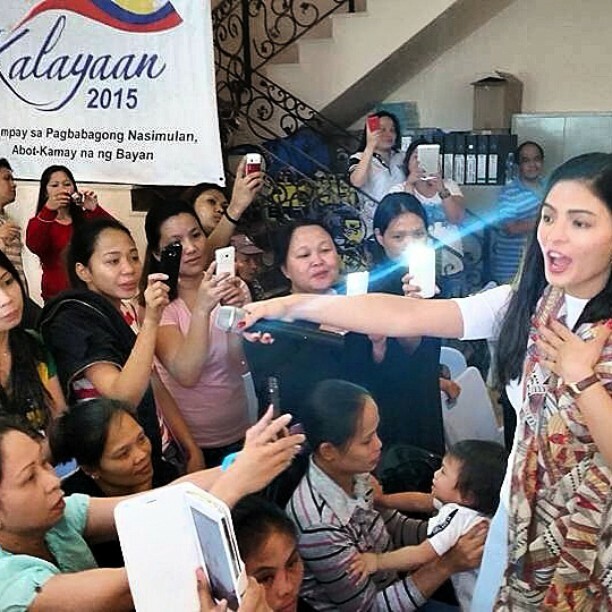 Kapuso actress Heart Evangelista graced the event, and received a warm welcome from the crowd who came despite heavy rains. “Miss na kayo ng Pinas mga kapuso! Maraming salamat! Sana po nag enjoy kayo. Sa uulitin,” posted Heart on her Instagram account. 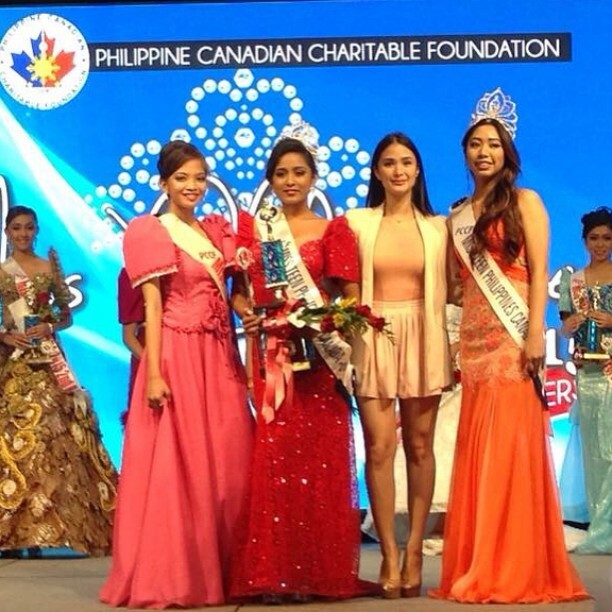 Organized by the Philippine Canadian Charitable Foundation (PCCF), the event was attended by thousands of event-goers including dignitaries – ministers, senators and members of Parliament, Philippine Ambassador to Canada Petronila P. Garcia, and Toronto Mayor John Tory. 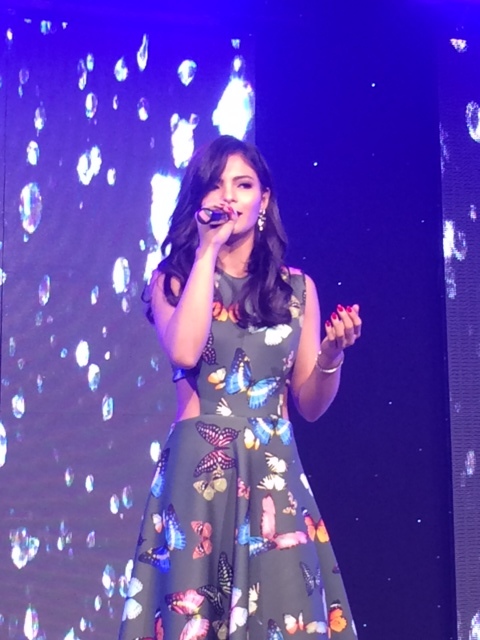 Aside from the festivities in North America, GMA International also participated in celebrations in UAE and Kuwait. On June 12, dance diva Rochelle Pangilinan and Survivor Philippines: Celebrity Doubles Showdown Winner Betong Sumaya joined the celebrations in Dubai, UAE organized by the Philippine Independence Day Organizing Committee led by the Office of the Philippine Consulate General. The event was jam-packed with 4,000 of our kababayans, who enjoyed performances by Rochelle, Betong and our very talented Dubai-based Filipino artists. 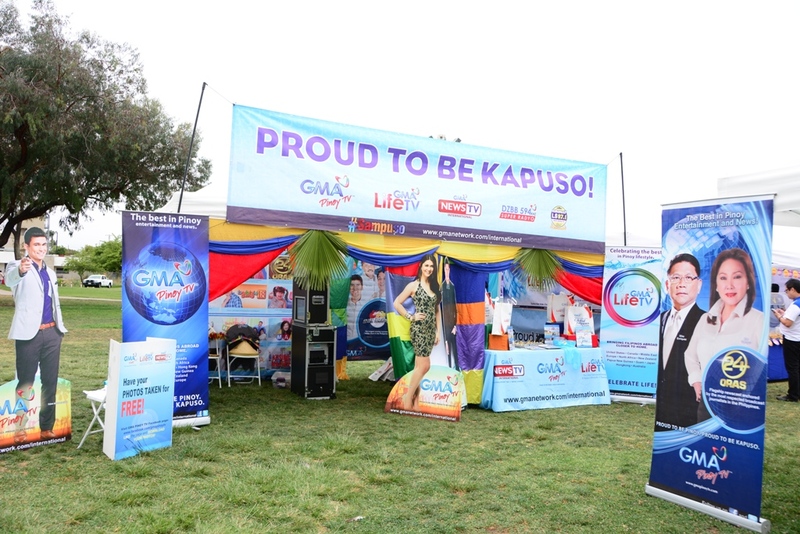 The GMA Pinoy TV booth also stood out as games like Pinoy Henyo, Dice, and GPTV Q&A’s drew in crowds of Kapuso fans. After the show, Rochelle got a chance to meet one of her Dubai-based fans, Mrs. Rose Garreth, who was in tears upon meeting her idol. It was such a heart-warming moment which Rochelle was also able to share with her followers on Instagram. “Maishare ko lang po ang napakasayang karanasan, nung makita ko siya, naiyak siya nung makita ako, natulala ako sa kanya, nung niyakap ko siya, tuwang tuwa siya at ako naman ang naiyak. Ang nasabi ko na lang sa sarili [ko], thank you God sa talentong ibinigay mo, nakakapagpasaya pala ako ng tao katulad ni ate Rose!” she relates. Betong, on the other hand recalls the “amazing” journey he had in Dubai. “Performing and seeing our kababayans in Dubai up close and personal is an experience I’ll never forget,” he says. “My trip to Kuwait was truly an eye-opening experience. I got to spend time with all of these wonderful people who are unfortunately going through a tough time.Sana lahat tayo ay ipagdasal sila dahil isa lang ang hangad nila ngayon – ang maka uwi na sila sa kanilang mga pamilya,” shares Lovi with her Instagram followers. GMA International’s support of Pinoy fiestas abroad will continue throughout the year. The 6th Annual Tribute to the Philippines will be held the this month from July 17 to 19 at the Music Pier, Moorlyn Terrace, Ocean City, New Jersey, USA. This event will feature a trade fair where Philippine products, foods, services, and tourism information are sold and displayed. Come August 1 and 2, the 10th Annual Adobo Festival will be held at the Kennedy Park in Union City, California. This event is expected to draw in Filipino families at the Bay Area and participate in the much-awaited adobo cook-off contest, various activity booths and live entertainment. Indeed, GMA International does not only bring Filipinos abroad closer to their home country, but also continues to uphold national pride and patriotism across the world. For updates on GMA Network’s artists, programs, international channels and events, visit the website www.gmanetwork.com/international, Facebook pageswww.facebook.com/GMAPinoyTV, www.facebook.com/gmalifetv, and www.facebook.com/gmanewsinternational, Twitter pages @gmapinoytv, @gma_lifetv, and @gmanewstvintl and Instagram account @gmapinoytv. 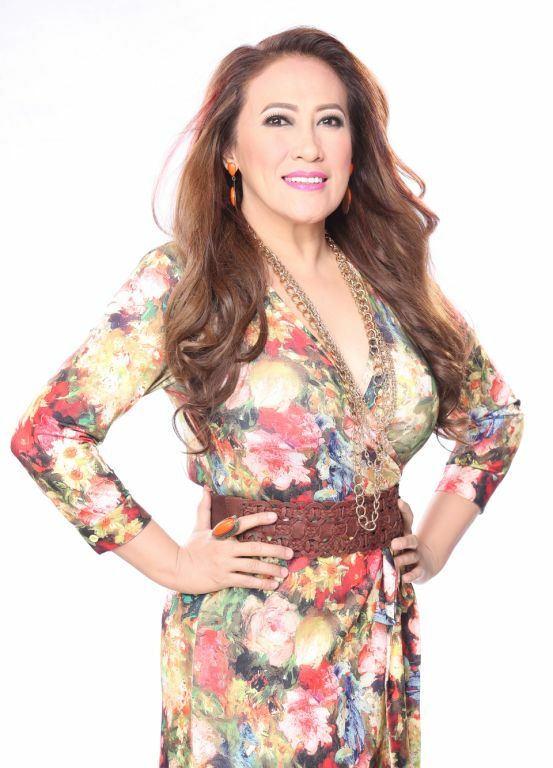 Philippine Comedy Queen Ai-Ai Delas Alas celebrated her 25th year in the industry by doing what she does best—generating laughter and garnering applause. 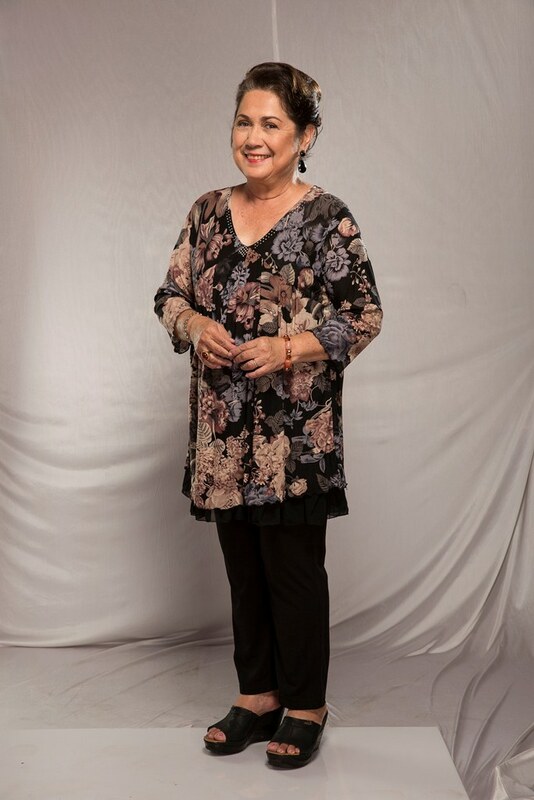 With her timeless wit and funny antics, the Comedy Queen remains unstoppable in bringing smiles to Filipinos locally and abroad. On Sunday, July 5, GMA Pinoy TV will provide its viewers an all-access pass to her successful concert, Ai Am Who Ai Am, where she playfully looked back at her career and celebrated the life she continues to live in show business. Her spectacular concert also featured performances of fellow Kapuso artists Aljur Abrenica, Alden Richards, Ruru Madrid, and Gabbi Garcia. Her closest friends in showbiz also shared the stage with her to exchange banters and playfully recall the years they have spent together. Tune in and be entertained this Sunday on GMA’s flagship international channel, GMA Pinoy TV. Travel around the Globe, One place at a time.